“Early to bed, early to rise” is how the saying goes. And so it applies on the farm as well: “early to bloom, early to die“. 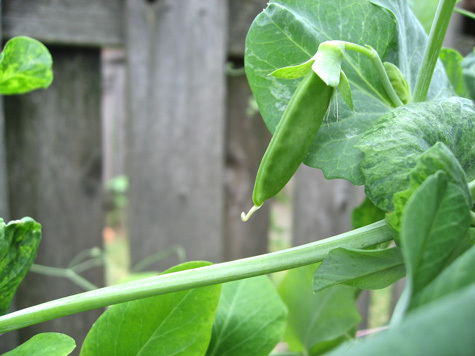 I planted my snow peas first thing this season, way back at the beginning of February, and they bore their yield before anything else, in June. 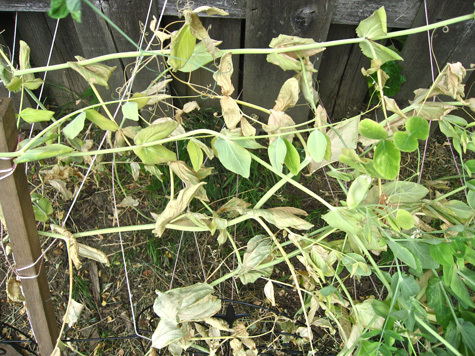 And as it goes, they’ve already died back, thus freeing up a precious plot for fall crops. 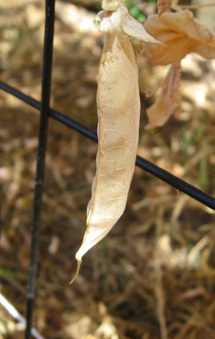 But I’ve saved my pea seeds this year! 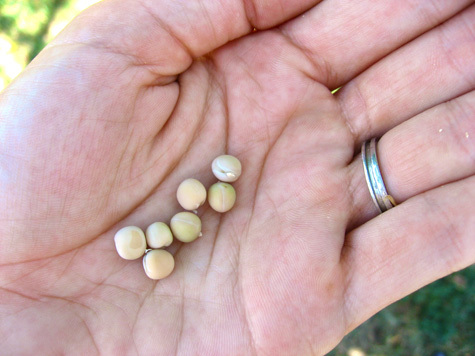 Saving seed is super easy, economical, and of course, ecological. If your annuals were able to thrive in your soil, you know you’ve got a botanical match. Go ahead and save the seeds of all your successful plants. *But*, if your veggies struggled or your flowers floundered, they may not mesh with the mineral composition of your yard. 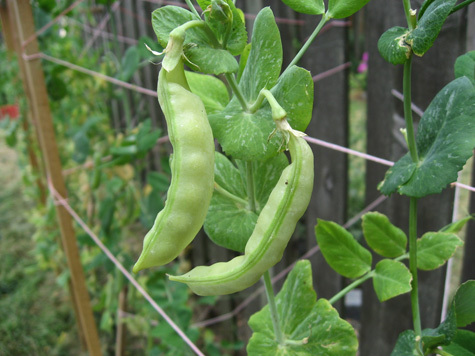 You might consider skipping out on the seeds of these low-yield or sickly varieties. 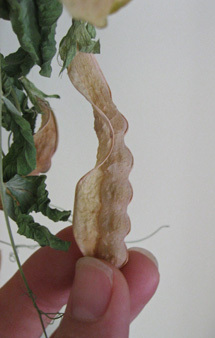 To collect seeds, select fully dried cases that ‘rattle’ a bit when you shake them. Gently pry them open at the ‘seam’ – if they are ready this shouldn’t be too difficult at all. Many will have already begun to split. And it’s easy as that! Collect as many seeds as you want (there should be more than enough) and store them in a cool dry place, like a spice jar in a closet. Remember to label the jar! 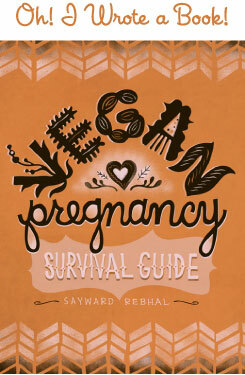 Easy, clear, very helpful-thanks a pod! I’m with you on leaving them on the plant and letting them naturally fade away. 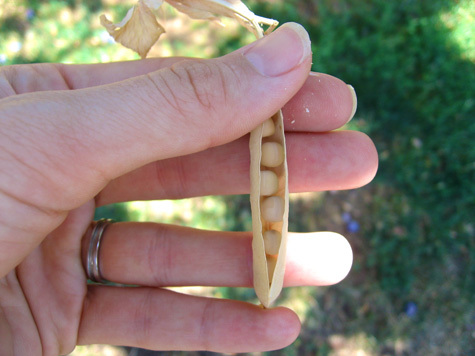 That’s a good idea for most seeds that stay on the plant naturally. There are factors like birds,weather and nasty var-mits. 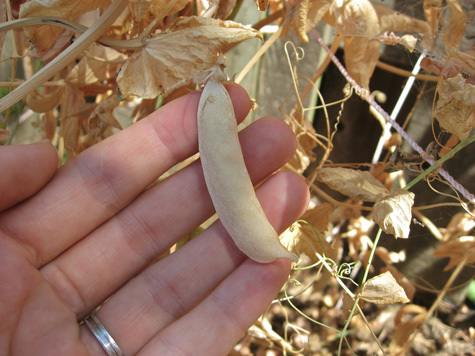 If the seeds of this plant fall i put white paper plates under the pods to catch some of the seeds. Some plants I cut a hole in the center of the plate then a slice to the hole and place that around the stem/trunk. It doesn’t catch all of the seeds but, many and you can see them well on that white background….or you could just tie a small paper bag with maybe a rubber band around each seed heads/pod for when they crack open. Another technique I use is I will pull up the entire plant and put it upside down in a paper grocery bag. That gets all the seeds and allows them to dry naturally on the plant.